Born and raised in Glendale, Arizona, Trevor is clearly a rising star, receiving kudos for his lead role in Technically Grounded (2013). 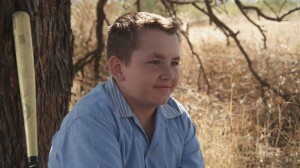 The acting bug hit early, and at age 11 Trevor landed his first feature role in Speak No Evil. Since then, he’s racked up an impressive number of credits. In his spare time he loves a variety of sports, including baseball and video games, of course. While Donovan Droege’s role as Melissa Dixon is her on-camera debut, Dedee is a seasoned performer. This Colorado native, an accomplished ballet dancer, has had lead roles on many Denver area stages, most recently as Clara in The Nutcracker with the Denver Ballet Theatre. An honor roll high school junior, Dedee is an award-winning participant on the Speech and Debate team, winning first place at a national speech tournament. Besides acting and dance, her interests include international studies and journalism. Dedee has a bright future whatever stage she performs on. Harris is so appreciative of the opportunity and the adventure that was the making of Lucky U Ranch. Other recent film work includes playing opposite Tim Roth in the feature film, 600 Millas, and with Mark Boone Junior in The Fencestitute. On television Harris played “Marie” on Days of Our Lives for ten years. Stage roles and regional theatre include Lady Macduff in Macbeth, Nina in The Seagull, Blanche in Streetcar Named Desire, Edna in Waiting for Lefty, and Jackie in The Hot l Baltimore. As an actor, director and teacher, David Greenwood has been on stage longer than he can remember. Tucson Art Theatre was this Tucson native’s artistic home, and is still his foundation. Greenwood is a permanent member of the Rogue Acting Ensemble, most recently performing in Jerusalem and Waiting for Godot. 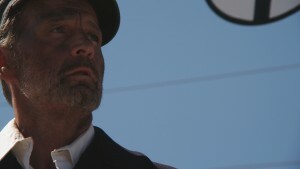 The stage is David’s home, but he was as much at home shooting scenes at the railroad museum, a pecan field, or a trailer court in Lucky U Ranch, his feature film debut. Michael has been in the entertainment industry nearly his entire life, as writer, producer, award winning director, casting director….and actor. He’s appeared in over 60 stage performances in such roles as Doolittle in My Fair Lady, Fagin in Oliver and Bottom in Midsummer Night Dream. Although the stage is his addiction, he’s appeared in over twenty films. A recent Tucson transplant, it was his daughter he brought to a casting call for Lucky U Ranch, and ended up with an important role himself. Michael is Director of Special Projects at The Loft Cinema, Tucson’s iconic art theater. He brings in well-known talent to speak at The Loft, Bruce Dern and Stacy Keach most recently. He is Managing Partner/Supervising Producer at Picture Arizona. In 2007, Brendan formed MurphySpeaking Films, LLC, producing thought provoking, artistically courageous independent films in Southern Arizona. Through MurphySpeaking Films, Brendan wrote, directed, and produced Limbo (2007) and Story Time Fables (2010), featured in the Arizona International Film Festival, Stepping Stone Film Festival and the Oaxaca Film Festival. 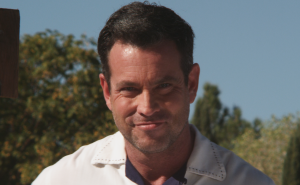 As an actor, Brendan has many films to his credit, including soon-to-be-released Wastelander. Additional credits include Spin, directed by Jamie Redford. Brendan is the recipient of the 2008 Buffalo Exchange Arts Award for Emerging Artists. Maria studied Theatre and Musical Theatre at the University of Arizona and New York University, and holds a B.A. in Theatre Arts. She’s been performing professionally for the past 12 years, including 8 years at The Gaslight Theatre in Tucson, and has been seen in several commercials and short films in Southern Arizona. Some of her favorite roles include Sally in Cabaret, Charity in Sweet Charity and Prudence in Beyond Therapy. In addition to performing, Maria frequently directs and teaches.